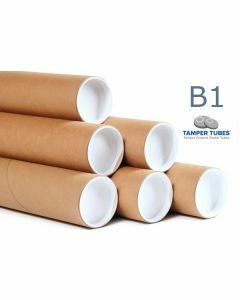 Tamper tubes are the result of months of work, research and various prototypes. But what exactly is it? A tamper evident postal tube comprises a standard postal tube and a plastic end plug which is designed to reveal any interference with the contents of the tube. This is a unique feature to Tamper Tubes. The end plug can only be removed by breaking through a perforation and inserting a finger to extract the plug; yet leaving the end plug intact enough to keep the contents contained.